We’re starting a new series here on our blog where we interview some of our favorite vintage wear-ers and have them style their style from the Le Double Ve closet! Our first guest is Aubrey Howard. Originally hailing from New Orleans, LA, she has travelled the world taking street style photography, trend forecasting, and lifestyle profile blogging. Le Double Ve: Why do you wear vintage? LDV: There is something about when a vintage pieces fits so right its like fate handed you an amazing article of clothing and its been waiting for you! What’s your favorite period? AH: I’d have to say its a tie between the 1950’s and the 1980’s. I love the body-con style and colors of the 80’s but there is something about that classic 50’s silhouette. I think it because it just makes your waist look so good and tiny! 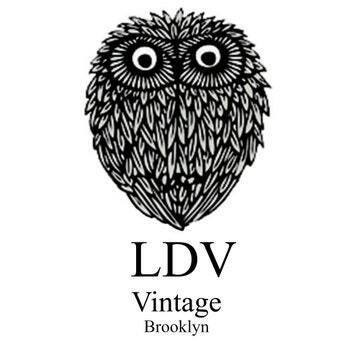 LDV: Who are your vintage icons? AH: YSL, Vintage Chanel is always amazing. I’d have to also say Pierre Cardin. I have these crazy batik printed high waisted pants with a matching top. I never wear it together because its crazy. It’s pants for business, and I wear the top with some short shorts. LDV: What designers do you think are doing a good job of keeping the best vintage trends alive today? AH: Chanel, their couture for Fall/Winter 2012. It was straight out of the 40s with some volume to modernize it. I think Hermes’ is doing a great job with it with their boxy coats. Lanvin couple of seasons ago had a big 40s feel too. Love the 40s that are coming out. Designers are making me proud. LDV: What is your ideal vintage outfit? AH: Anything classic, off the shoulder, fitted. Give me a fish-tail anyday. I also love anything blousy from the 70’s. Anything overflowing with beads and sequins. Everything crazy.